LOFTEK Rechargeable LED Light Ball | Nerd Much? 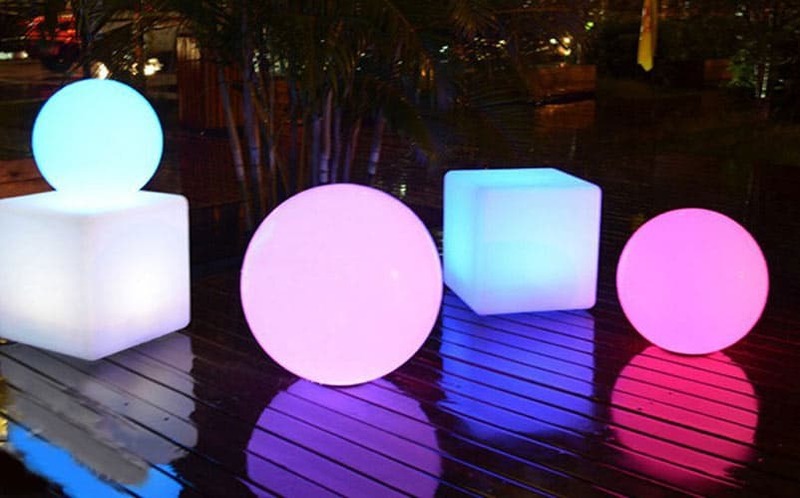 The LOFTEK Rechargeable LED Light Ball is unlike anything we’ve ever seen before. It’s a simple device that serves one simple purpose: to illuminate your room (or the outdoors) with a soft, colorful glow. But while it’s easy to use, it has a number of impressive features. For one, it’s rechargeable, and the charge lasts roughly eight hours, allowing users to add a colorful glow to any room or virtually anywhere. In fact, that’s one of the LOFTEK‘s biggest selling features — the fact that you can literally take it anywhere with you. It’s charged with the included AC adapter, and requires four hours to fully charge. It’s small enough to carry in your hands, and even after eight hours of use, the ball doesn’t get too hot to hold (in fact, it doesn’t even get warm). It’s made out of a high quality acrylic material that won’t break if you drop it, and it can withstand 300 pounds of weight. It glows brightly, and offers 16 different color tones to choose from, as well as a strobe, flash, fade and smooth setting. Use it to provide a colored ambiance to any room. Use it as an outdoor reading light. Use it for cosplay for your wizard get-up. Put it under your shirt and pretend you have a glowing baby inside of you (we did it). Whatever you want to use it for, the LOFTEK LED light ball is a crowd-pleaser.